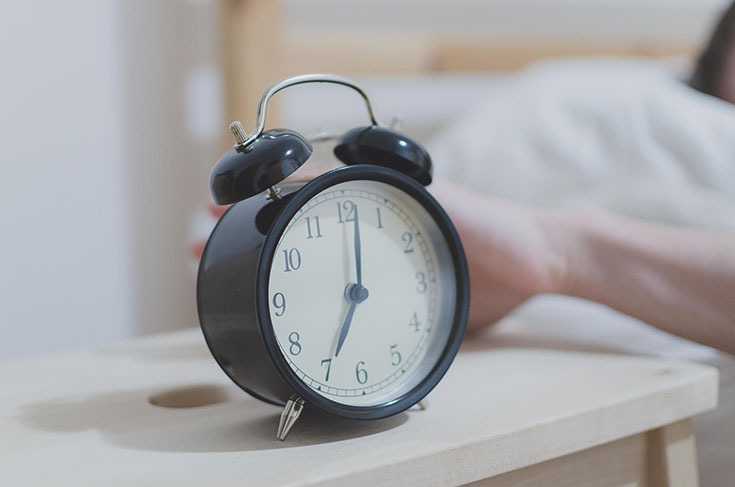 7 Tips to Transform From a Night Owl into an Early Bird! I've never really been much of a morning person but in 2016 I'm making every effort to transform into one. We've all heard the saying, early to bed, early to rise, makes a man healthy, wealthy, and wise, right? So as you can probably guess, my routine this year has started off with an earlier bed time and an early wake up time and so far, so good. You may be wondering how I've made the adjustment, especially because I was the type to stay up til 2AM without any issue before... and it was actually pretty easy. Do you want to make a change in your life? Here's 7 different ways you can start doing that today! 1. Make sure you're wearing yourself out in the evening, either with a walk around the block or chasing your kids around the house... spend time exerting energy on purpose. 2. In the mornings, supply your body with energy it needs! 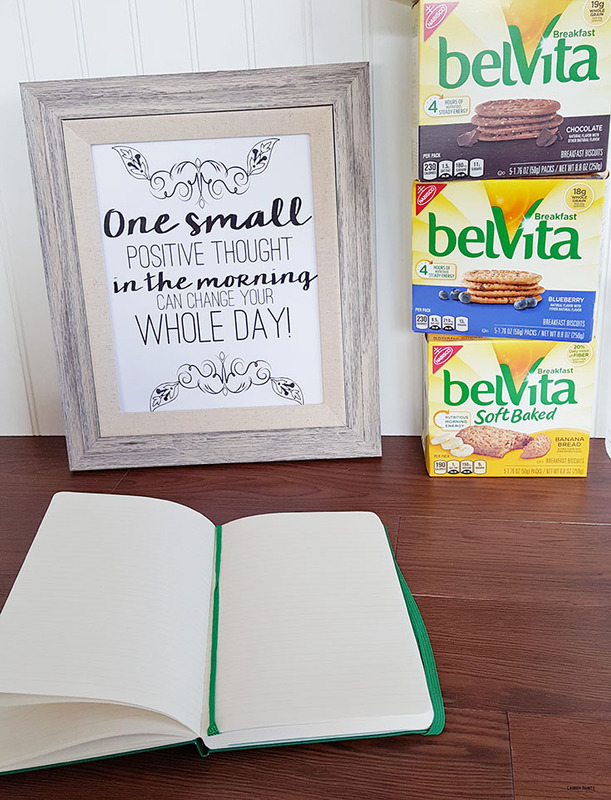 My favorite way to get my body going is breakfast and for my favorite new meal of the day I choose belVita Breakfast Biscuits. 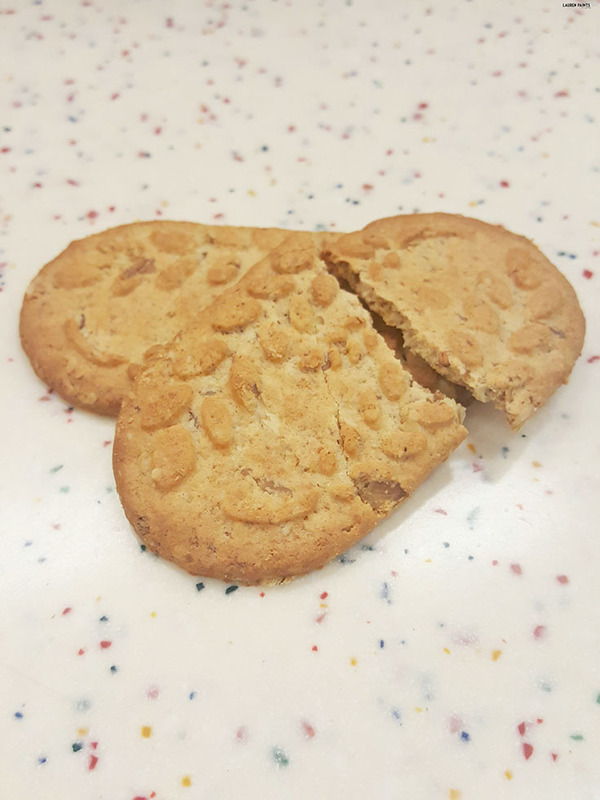 Why do I choose this deliciousness over others? 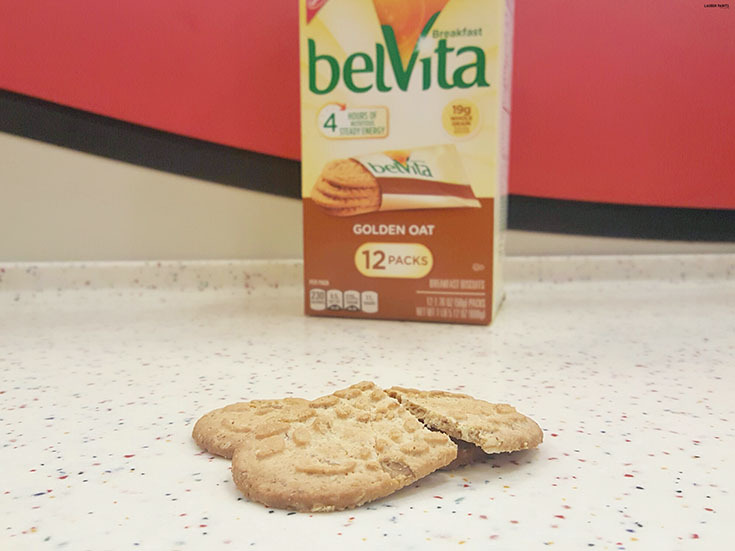 belVita breakfast biscuits provide nutritious steady energy all morning, plus they contain NO high fructose corn syrup, hydrogenated oils, or artificial flavors/sweeteners. 3. 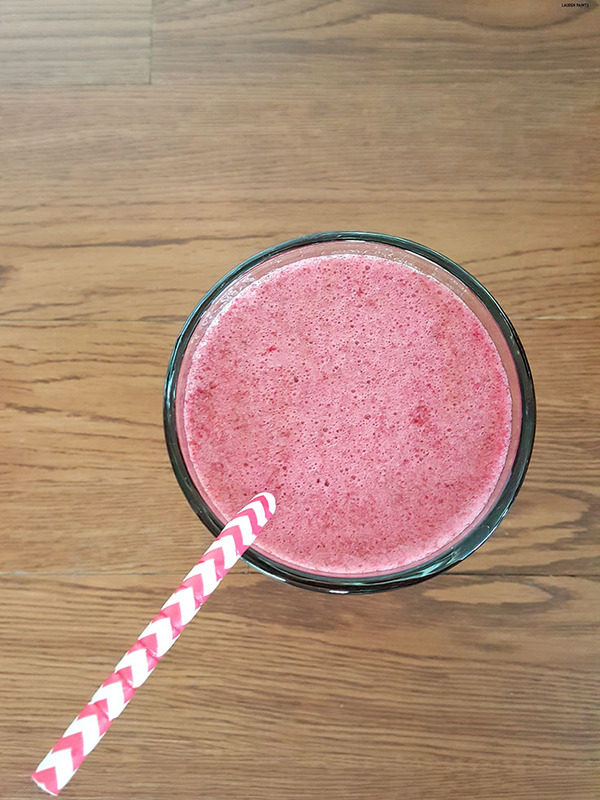 Speaking of juice or a smoothie, these are both great additions to your breakfast routine! 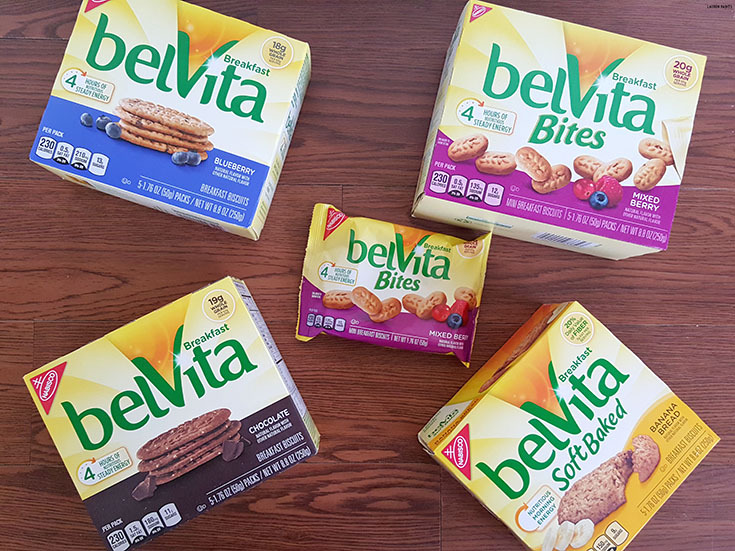 It's easy to make and so delicious, just toss in your favorite fruits and veggies and a little bit of yogurt or milk, to a blender or a juicer and you're all good to enjoy a revitalizing beverage with your delicious belVita Breakfast! 4. If you're really serious about turning into a morning person, you may need a reminder... so this little freebie printable I designed may just be the perfect way to put yourself into a good mood, each and every day. 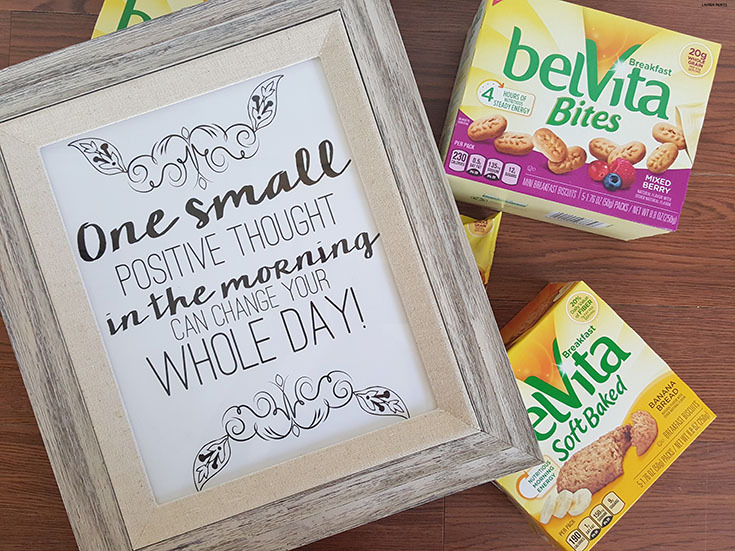 Reading it once in the morning, whenever you first wake up, is a great way to make sure your mindset is on point the second you get out of bed, because it's true... One small positive thought in the morning really can change your day! 5. I also suggest you sip on some water in the morning, rehydrating your body is an important part of making sure you have enough energy each and everyday! 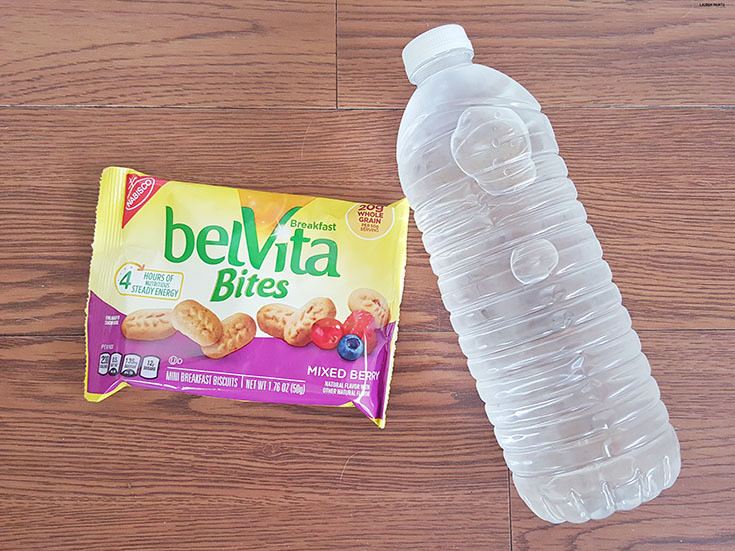 Plus, the Mixed Berry belVita Bites pair perfectly with a tall glass (or bottle) of H2O! 6.Next on the list of "early bird" essentials are vitamins! 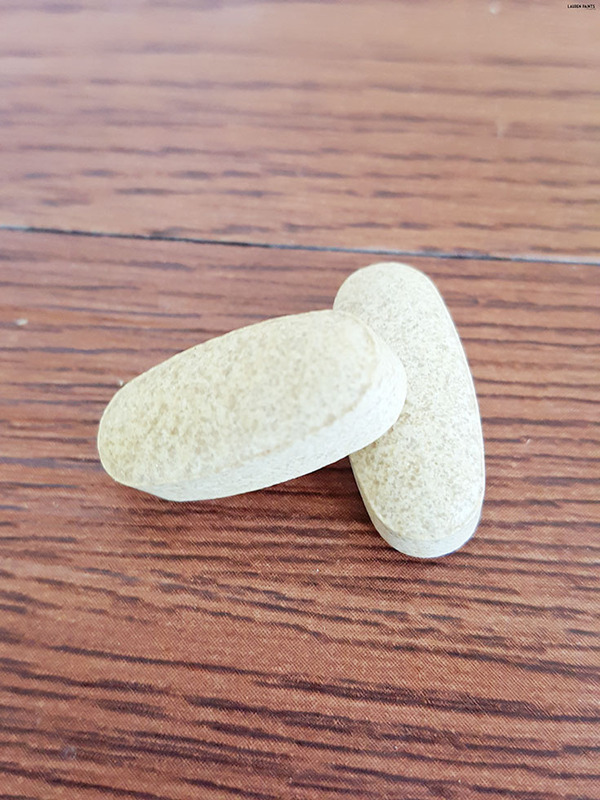 Whether you take them first thing or with your breakfast, be sure to sneak in some of the nutrients your body needs in pill or gummy form! 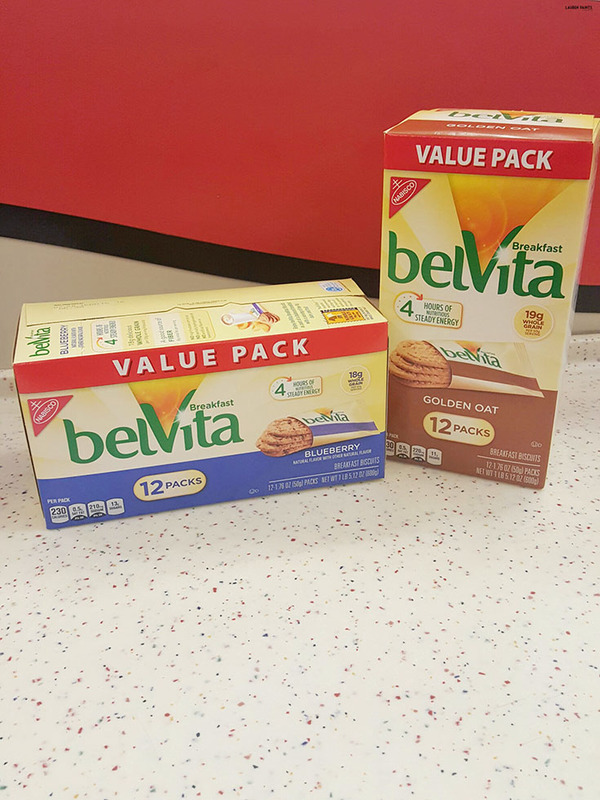 It's an easy addition to make to your morning routine and the benefits are endless! 7. The last little piece of advice I have for night owls hoping to become early birds is to let your creative juices flow for a little bit in the AM. If you let your brain have a little fun with some journaling, poetry writing, sketching, etc, you're more likely to feel more productive and happy through out the day! So, tell me... Are you also a night owl hoping to convert to an early bird? I'd love to hear a few ways that you're adjusting your schedule and maybe we can learn something from each other! If you're already a morning person, I definitely want you to share your secrets to success! I can't wait to hear all about your lifestyle in the comments below! 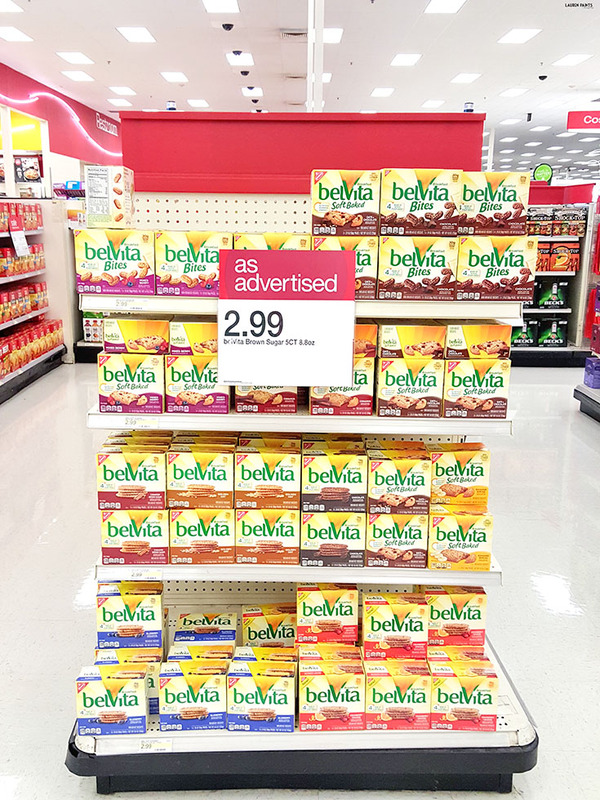 Plus, don't forget to grab a box of your favorite belVita breakfast biscuits the next time your at Target!